At the start of a recent investigation into utilising Microsoft’s cloud data warehouse service, Azure SQL Data Warehouse (general page HERE), I jumped right in to provisioning a service, creating tables and loading data. After this initial jump start I took a step back to understand the DWU concept. The following is information from the Concurrency and Workload Management documentation HERE. DWUs, or Data Warehouse Units, are the concept behind how Azure SQL Data Warehouse allocates compute resources. When provisioning an Azure SQL Data Warehouse (ASDW) there are currently 12 DWU tiers to choose from. These tiers range in price and for comparison are in the following list, I’ve chosen 3 regions to show DWU compute prices per tier in GBP, USD and EUR as at 27th September 2016. Prices for all available regions is HERE. Please note that storage costs are a separate cost and are outlined in the Storage section of the pricing page. A DWU100 running for 1 year in the UK South region would cost £9,071.88 whilst a DWU6000 in the same region would cost £544,309.80. A significant cost difference, but as the DWU tier can be reconfigured at any point in the use of the service and takes no longer than a few minutes to re-provision, different tiers can be used throughout the day depending on the workload. 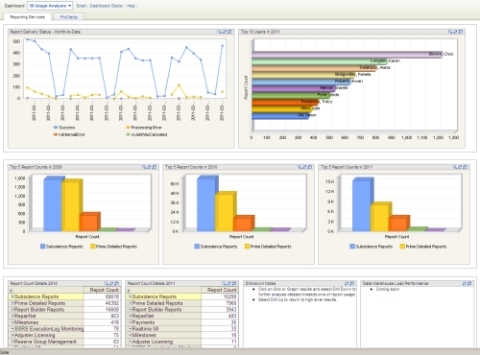 The workload splits would typically be loading data and querying. A resource class is assigned to a user login and depending on the DWU tier can take 1 or many slots. There is a maximum of 32 concurrent queries and 240 concurrent slots available. Please note that ASDW accepts 1,024 concurrent connections, any queries not running will be queued. Total Memory GB (Est) was calculated by multiplying the slots available with the memory consumption per slot. E.g DWU100 has 4 slots available, a smallrc resource class has 6GB allocated and uses 1 slot therefore 4 x 6 = 24GB. DWU1000 has 40 slots available therefore 5 mediumrc at 47GB each = 235GB. It’s a simplistic calculation but gives an estimate of total system memory available at each tier. ASDW achieves an MPP (massively parallel processing) architecture by distributing the workload across 60 distributions, therefore to calculate the memory allocated to each distribution across the tiers and resource classes, divide the memory allocated by 60. For example, DWU100 for a smallrc resource class user will allocate 100MB to each distribution (6GB / 60), whereas at DWU6000, an xlargerc resource class user would have 12.5GB allocated to each distribution (750GB / 60). As we can now see the memory resources available at each tier and within each resource class, we are able to calculate how many concurrent queries can be run. For example we look at the total number of slots available per tier and then calculate how many slots each resource classes uses at that tier. Note that we cannot exceed 32 concurrent queries running. There are 2 importance allocations – medium and high. Any query which uses 16 concurrent slots or more is considered high importance and is given 3 times more CPU cycles than a medium importance query. For example, it’s not until DWU400 that importance allocation is considered as this is the first tier to use 16 slots. I hope the above information has been useful as I certainly found understanding the DWU tiers and the concurrent query/slots concepts very useful in understanding what resources are being allocated. Thoughts, comments and clarifications welcome. With SQL Server 2016, programmatically creating and managing Analysis Services Tabular models has been enhanced with the Tabular Object Model (TOM). TOM can be used to create models, tables, columns, measures, hierarchies, relationships, security and also trigger data refreshes. Why would we want to do this? In a word – Automation. TOM allows us to create/modify Tabular models and deploy to the server from code. Direct Download: Zip file HERE. I set out to create a Tabular model using C# and TOM that featured all the functionality I would expect such as Measures, Hierachies and Relationships. I took the MSDN tutorial and extended it using the new WideWorldImportsDW database. This was a challenge as I consider myself a C# “noob” and I hope this proves useful for others looking to do this too. The next logical step will be to metadata-drive the creation of the objects, however at this stage I feel it’s important to get to grips with the TOM itself. A big thank you to William Relf https://twitter.com/relfw, who is my colleague, Data Platform expert and C# whizz. The image below shows a visual representation of the model we’ll create. Download and install the SQL_AS_AMO.msi library from HERE. Create a Connection to the Tabular Server. Replace localhost with the name of your Tabular instance. This will check if the database Wide World Imports exists on the server already, if it does then it’ll append an incremented number and still allow the database to be created. Description = "The Wide World Imports Tabular data model at the 1200 compatibility level." This provides the Tabular model with a connection to the data source which contains the tables and data needed to populate our model. Note the ImpersonationMode setting, in this instance I’m using the service account that the Tabular service is running under, by default that is NT Service\MSSQLServerOLAPService. This service account has been added as a login to the SQL Server database engine instance and granted read permissions on the WideWorldImportersDW database. We now define each of our columns used in our model, for each column we need the Name, DataType and SourceColumn properties to be populated. The use of the column will depend on the other properties that need setting. For example, each dimension table has a unique key column, this is represented by setting the IsUnique property to true. Note that the Date_Month column is sorted by the Date_MonthNumber column, this ensures that the month names are sorted by calendar month and not alphabetically. The available column properties are HERE. By using the Hierarchy class we’re able to define a 3 level hierarchy called Calendar Date which uses the Year, Month and Date columns. The Ordinal property sets the order in which the columns are placed, therefore Year-Month-Date is represented as 0-1-2. We now define the 3 tables used in our model, note that we are using the column and hierarchy names previously defined. The Orders table includes Measures, these measures are DAX calculations. As the Orders table is related to both the Date and Employee table, we need to add relationships to the model. The relationship cardinality is set consistent with Many-To-One relationships (Fact-to-Dimensions). At this point the model has not been deployed to the server yet, this next step does just that when the program is eventually executed. Once the model has been deployed, a data refresh operation is requested and executed. We now output the objects created. Now run the program (click Start or press F5) and the console should appear with messages indicating the actions performed. We can now connect to the model using a client tool such as Excel or Power BI Desktop and browse the objects. Power BI Desktop is a free download and available HERE. Comments, suggestions and critique is encouraged and I thank you if you have read this far! In the New Year, instead of diving right back into the development/coding of data solutions I thought I’d take a step back from technology. Why? To again focus on a set of principles designed to aid the process of developing and managing data: Data Management. With the current advances of Data/Big Data & Business Intelligence technologies and the sharp focus on delivering “breakthrough insights” to information-hungry organisations, it has become even more important to harness the power of effective Data Management. At the beginning of 2012 I had the opportunity to study under the tutelage of DAMA UK’s Keith Gordon in Data Management. The BCS book Principles of Data Management that accompanied the course is freely available for purchase and I fully recommend it. The principles outlined within the book are very much geared to tackling practical real-world issues, having been developed and tested after many years on the front-line. I’ve cherry picked a few core areas that the book covers, please be aware that certain areas are enormous subjects in their own right and can’t be completely covered in a single chapter. Shows us that Data is a key asset and a resource to be shared and collaborated with across the organisation. For information to be accurately and timely delivered, data must be properly managed. Before diving right in and creating data structures and filling with vast amounts of data, we must first model the data and ask questions about the validity of that model. Do attributes share common themes? Can these common themes be re-used in data models across the organisation? When creating data structures, it’s important to define common and shared definitions, this eases data integration. This is especially difficult when buying off-the-shelf software but may help to identify integration problems before they occur. If an organisation wants to derive insights and useful, actionable information from data then the quality of that data is paramount. Missing or incorrect values will all skew the value of that piece of data. What skills and technology are needed to install a data management function within an organisation? Do you need database developers, database administrators, data stewards? What is clear from this book is that the principles outlined do highlight a fundamental fact that to “win at data” it’s very much a community effort from all members of an organisation. From Directors, IT Managers, Developers to Systems Users all play a role in delivering an effective Data Management initiative. Wait for it…not released yet but bound to be a good read and I’ll definitely be buying this. 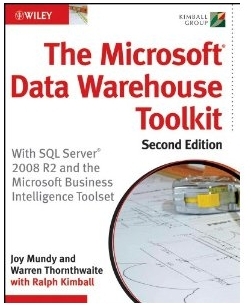 Worth it if you already work with data warehousing and upgrading to/working with SQL Server 2008 R2, essential if you’re just starting out with DW. Whilst working on a recent project which included quite a few Linked Server calls within several Stored Procedures, I looked at using SQL Server Synonyms. The problem with linked servers in SQL queries is that if the linked server changes, E.G from Development to Test then to Live, the SQL query must also be updated and you may end up with multiple versions of the same piece of code. You can of course use Dynamic SQL but I’m sure many of us don’t wish to do so. An easier way is to create a Synonym on each server (development, test, live etc) and reference the Synonym name (for example “OrdersTable”) in your SQL query. This way when you come to deploy your SQL code onto each server you will not have to change any of the actual SQL code. Of course you will have multiple SQL scripts to create Synonyms but since it’s a small piece of code the overhead is far less than multiple versions of your actual SQL code. The powers that be love dashboards, I mean they LOVE dashboards. Now while showing as many different gauges, metrics, bar graphs and traffic lights may seem at first to be the way to your company CEOs heart it may also be your undoing if you don’t follow some simple steps to ensure what you show is useful, easy to read and even actionable. ProClarity Dashboard is a piece of technology I’ve been itching to use for the last couple of years now, I’m sure we can make great use of it even if official support of ProClarity products will end in 2012. Due to the “underground” nature of database development it’s rare that the business gets to see an end product on their screen and it’s nice to be able to involve the database team in these kinds of projects.